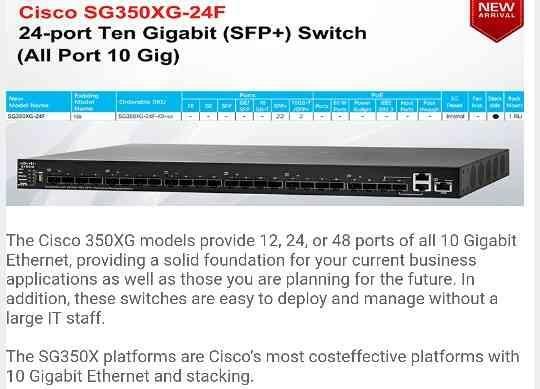 The Cisco 350XG models provide 12, 24, or 48 ports of all 10 Gigabit Ethernet, providing a solid foundation for your current business applications as well as those you are planning for the future. In addition, these switches are easy to deploy and manage without a large IT staff. The SG350X platforms are Cisco’s most costeffective platforms with 10 Gigabit Ethernet and stacking.